Enjoy a unique and idyllic moment in our new spa hotel. The alliance of comfort and modernity mixed with the wild natural spaces of the 3rd natural lake of France. You will never forget your stay enjoying the charm, romanticism and relaxation of the hotel. 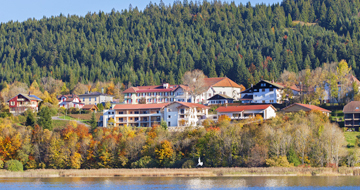 On the shores of Lake Saint Point, in the heart of unspoiled nature. 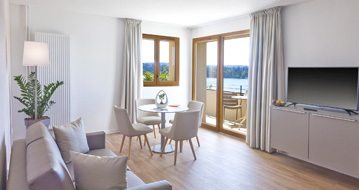 16 suites or apartments with balcony or terrace both with a view on the lake. Relaxation and care for a privileged moment of relaxation. Don’t hesitate to ask for your personalize gift! 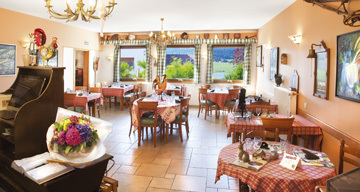 Enjoy a meal in one of our 3 restaurants in Malbuisson. Whether you choose a gourmet, local or a cheesy meal you’ll be welcomed in our restaurants. 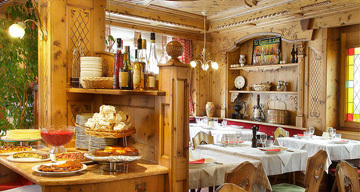 Discover a unique ambiance in each restaurant: a Louis XVI style, chalet or farm. 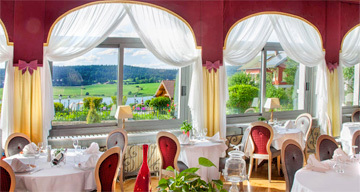 In a Louis XVI style, the gourmet restaurant Le Lac welcomes you with a wonderful view on the Saint Point’s Lac. Come on in and discover a beautiful hand-carved wooden frame and all the different cheese’s savories. In an old renovated farm we offer you an old traditional local cuisine. You’re planning a weekend at the last minute? Jump on our favorites!